To reduce your energy consumption even further, use automatic timers for both indoor and outdoor holiday lights. Set timers to turn lights on when it gets dark and off during a reasonable hour later that night. Having the ability to program your Christmas lights will eliminate the stress of wondering whether or not you forgot to turn them off before you left the house. Before plugging in and programming, make sure the timer is capable of handling the combined wattage of your lights. According to Energy.gov, keeping light displays on for less than eight hours per night will help you keep your energy costs low. If you don’t have a timer, being as frugal as possible with the number of hours your lights are on will make all the difference. Compared to incandescent, LED Christmas lights are far more durable. Typically made of glass, incandescent Christmas lights are much more likely to shatter, increasing the risk of house fires. LED light strings use epoxy lenses, or plastic, and are much sturdier and resistant to breakage. LED Christmas lights also last up to last 10 times longer than traditional lights. In one study, all the bulbs in an LED light string remained fully lit after 4,000 hours of use, whereas one or two bulbs in an incandescent light string burned out before half that time. A main reason LEDs are so long-lasting is because unlike incandescents, they don’t have filaments which can heat up and burn out. This is also the reason LED options are safer: Did you know that in the U.S. alone, Christmas tree fires lead to an average of 18.3 million dollars in property damage each year? In many cases, hot Christmas lights are to blame—a problem that is non-existent with LED lights. 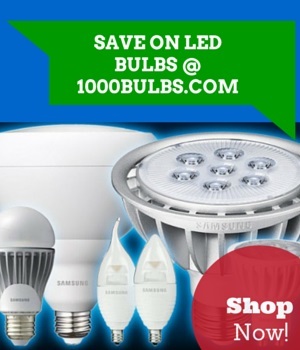 If you need new Christmas lights for this upcoming holiday season, choose LED Christmas lights. They are difficult to break, last up to 20 years, and use only 1/3 of the energy of incandescent Christmas mini-lights and 1/100 of traditional C7 or C9 lights. Because LED lights don't have filaments like incandescent bulbs, they won't burn out or get hot, and because of their longevity and durability, you won't have to buy replacement bulbs or new light strings every year. If you’re still wondering what LED Christmas lights can do for you, watch our Christmas YouTube videos to see some of the many possibilities! Have any lingering questions about LED Christmas lights? Feel free to ask them below in the comments or on Facebook, Twitter, LinkedIn, or Pinterest! Original post by Jessica Banke. Additional content added by Courtney Silva and Angela Rogers. Most recent updated on 4/9/2019.